Government Employees and the services they provide are vital to the American people and the functioning and success of our nation. The Federal/DC Division represents federal employees that live and work in 43 different states across the country including Hawaii. Our members work in a variety of government agencies such as the Department of Defense, Department of Veterans Affairs, National Park Service, Environmental Protection Agency, Department of Homeland Security, National Marine Fisheries, Federal Aviation Administration, Department of Transportation, and other federal agencies. 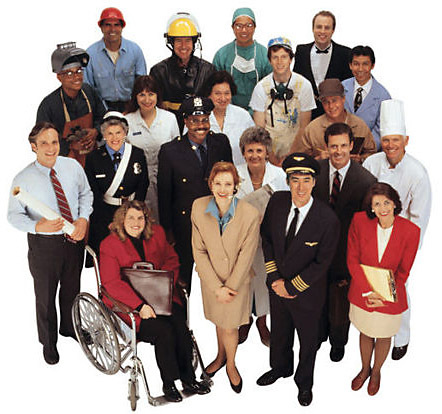 These employees are police officers, firefighters, correctional officers, health care workers, nurses, doctors, medical technicians, office workers, maintenance workers, engineers, and more. NAGE/IBPO is proud that its membership also includes a large number of veterans who have successfully transitioned into the civilian workforce. 50,000 Members We are healthcare providers, EMS first responders, nurses, office workers, professional workers, law enforcement officers, and federal public servants. We keep America moving. 43 states Our members work and live in 43 states, from Hawaii to Minnesota to Florida‐‐in small towns, cities, and on military bases. 450 Locals We are organized into 450 locals with sizes ranging from under a dozen members to more than 4,000.